You can shift the investments in your IRA to match your needs as you age. 1. Can an IRA Be Garnished in a Lawsuit? 2. 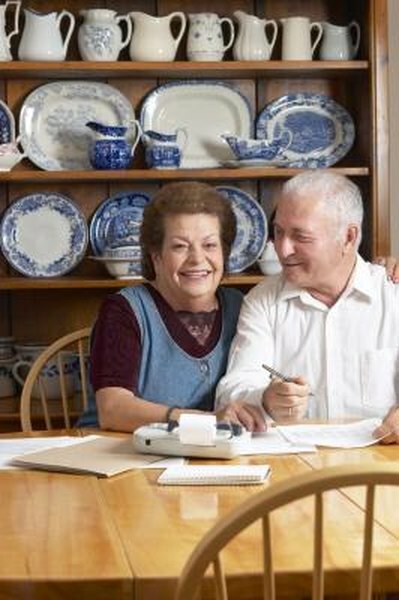 Should I File Taxes If I Am Retired? 3. What Mix of Mutual Funds to Put in an IRA? Retirement pension funds have traditionally been viewed as low-risk accounts. Pension fund managers had a fiduciary responsibility to make sure the retirement money they managed would be available when an employee retired. Individual retirement accounts allow you much greater freedom in determining the types of investments you put your retirement money into. These investments can run the gambit from low-risk, low-return to high-risk and speculative investment products. The Internal Revenue Service doesn't recommend or approve of any particular type of investment for your IRA. About the only guidance it provides is a list of a few items that you can't hold in your IRA. For example, you can't put a life insurance policy into your IRA, and you can't use your IRA to invest in collectibles, such as antiques, rugs, gemstones, alcoholic beverages, stamps and most coins. You can create a low-risk IRA by only investing in safe, secure investments. Among the safest types of investments for your IRA are government-backed or government-insured products. For example, U.S. Treasury notes, bills and bonds are backed by the full faith and credit of the federal government. Certificates of deposit at Federal Deposit Insurance Corporation-member banks or National Credit Union Administration-member credit unions are insured by their respective federal agencies for up the $250,000 as of 2013. Equity investments, such as stocks and real estate, and certain debt securities, such as corporate bonds, are higher risk investments, because these types of investments offer no guarantees. The increased risk might translate into higher returns on your investment, but they can also lose money. All IRAs are custodial or trust accounts, and the North American Securities Administrators Association notes that self-directed IRAs can be among the riskiest of all, as the custodians of these types of IRAs permit a broader range of investments than most IRA custodians will allow. You have the ability to manage the level of risk you are comfortable with in your IRA, and you are free to adjust that risk level whenever you wish, within the limitations of your custodial agreement. For example, you might open an IRA account with a mutual fund company when you are in your 20s, and invest your contributions in a higher-risk aggressive growth mutual fund. When you reach 50, you might shift your funds into a more conservative growth and income fund, and when you retire, you might move a portion of your funds into a low-risk U.S. government bond fund. Do IRA Accounts Invest in the Stock Market? Are Retirement Accounts Insured Above $100,000? Is IRA Money a Pension?